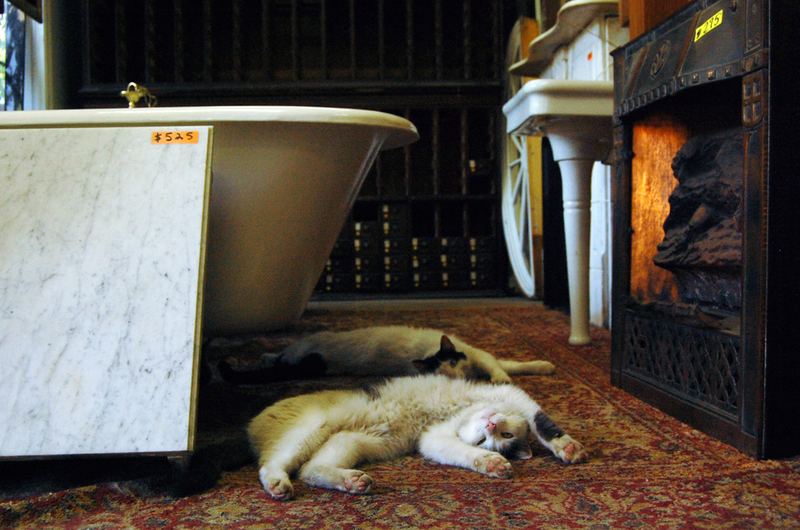 At VINTAGE HOUSE PARTS & RADIATORS, we believe that a customer’s needs are of the utmost importance. Our team is committed to meeting those needs. As a result, a high percentage of our business is from repeat customers and referrals. Our experience in the architectural antique and historic renovation industry spans close to 20 years in the Washington, DC metro area. Relationships with inside contacts such as home and commercial contractors have matured over the years, and those long-term relationships offer us special access to vintage materials from their demolition projects, materials that would normally be discarded without our knowledge of their refurbished value and the unique market for vintage house artifacts. Working with Cast Iron Radiators (both decorative and plain in style) is our specialty! Large and small orders are welcome. We buy Cast Iron Radiators and vintage house parts and retrieve them from buildings; sell from our inventory; rebuild and/or refurbish items like cast iron radiators to fit a specific space; and make deliveries, for a fee upon request. We welcome the opportunity to earn your trust and give you the best service in historic renovation and restoration in the metropolitan area! Our staff is fully bi-lingual (English and Spanish).